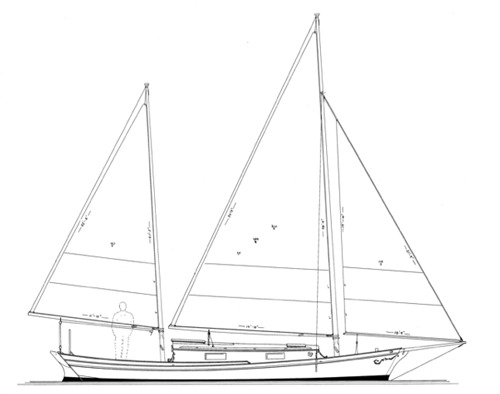 Shallow-drafted V-bottomed cruiser with cross-planked bottom & berths for three. Construction: Carvel planked sides over sawn frames; cross planked bottom. Alternative: Strip-planked topsides. Lofting is required. Plans include 7 sheets. (cb up) - 2' 1" (cb down) - 3' 8"